The thought of reading a cultural mystery novel with “old folks” and their varying personalities being at the heart of the matter is always a very favourable option. When the story involves argumentative, skinny, shoulder-shrugging, wine drinking, rude French natives I believe a great time reading this story is in fact an inevitability. 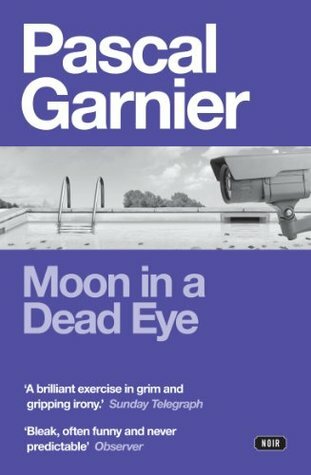 With respects to Moon in a Dead Eye by Pascal Garnier I really enjoyed the subtleties of the characters quirks, their own individual mishaps and the events that followed. It is a compelling story of how a seemingly idyllic situation can change from an amazing imagination to an absurd realization. When few people inhabit a grand building in a beautiful city they must embrace the harsh reality that at their core, they are, for better or worse, social beings, oh the horror!!!!! At times, specifically as you age, you wonder why we have to be like Mr.Rogers and get to know our neighbours? When the more you know, the more it may conflict with or enhance your own personal prejudices. All the while the one mediator present in this story is a “CARETAKER” introducing himself as Monsieur Flesh. This announcement may have been a big indicator that this was definitely not a retirees nirvana and dark albeit humorous moments would lie ahead. A problem I had with this book was that at times the affluence of the retirement resorts occupants influenced my own interpretation of their mental/physical capacities. 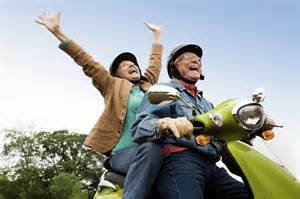 I kept picturing highly-vitaminized, mineralized and exercised elderly people that had a younger disposition. You forget that through all of their internal conflicts and physical problems that they faced, they were in fact older than you are lead to believe. With bad knees, wonky backs, and brains that like to wander this book delves into the mentality of youthful exuberance while keeping the decrepit nature of old age at arms length. This book also makes it hard to distinguish what has caused a lot of the characters delusions, is it their living arrangements or did they bring a little confusion with them? I also thought that this book could have been more grim with more despair. For some people there was probably a serviceable amount, but for my tastes my expectations were for more. I know a blurb on the book suggested that it fell in line with a Quentin Tarantino film but I would say for the western world it had more of an Alexander Payne feel and he could really exploit the dry humour. Since it is a novel set in France written by a Frenchmen, it would be apropos to have it directed by Jean-Pierre Jeunet who could really bring the grim nature of the resort to life. At first they wanted to embrace the youth that escaped them, by the end death didn’t seem like such a bad idea. I recommend this book to anyone that enjoys a different read with personality conflicts enclosed in a self-imposed claustrophobia. That is if the gate is working, than your free to go wherever you may roam, but don’t let the Gypsies get you. “Hey Viv, can you stop your scrapbooking for a sec and come up to bed, there’s something very important I have to discuss with you.” A smile widens across Harold’s face. “One more page Harold. I’ll be up in 5 minutes.” her focus on her own creative outlet maintained an intensity that rivaled that of Wheel of Fortune. “Uhhhhhhhhhh, Hold your horses dammit I’m coming” She reluctantly gets up carefully putting her scrapbook on the end table with her beautiful grandchildren smiling up at her. She climbs the stairs trudging along step-by-step knowing that if it weren’t for the 5 screws in her ankle and the fact that it was miserable outside she would be flying up the same stairs she broke her ankle on. Vivian opens the door to see Harold sitting on the side of the bed in front of the window with his glasses firmly placed on the bridge of his nose. “Exciting” With a roll of the eyes he reaches for a brochure that was placed beside him on his wife’s side of the bed. “You know Viv, I have been looking around at the best retirement location that fits both of our individual needs, and knowing your intent to stay within driving distance of our grandchildren I have found the perfect compromise.” Vivian takes a seat next to Harold on the bed and attentively looks Harold in the eyes. “I’m listening” there is a skepticism to Vivian’s voice much like the time Harold wanted to spend $5,000 on Facebook to receive his unclaimed fortune from an unknown Nigerian Bank. “There’s this newly developed gated retirement resort in Vancouver that promises: daily caretakers,coordinated activities,full service dining executed by a renowned chef, library for reading,gardens to tend, and is also conveniently located near shops and other amenities.” Harold was so proud as punch at his findings and was eager to hear Vivian’s response.”What do you think honey bunny?” Harold had that convincing gleam in his eye that used to melt Vivian’s heart now she’s wondering if he needed his eye drops.